This 2 Week INTENSIVE Musical Theater Program Include Daily Lessons In Dance, Drama, And Voice Ending With A MUSICAL STAGE PERFORMANCE . 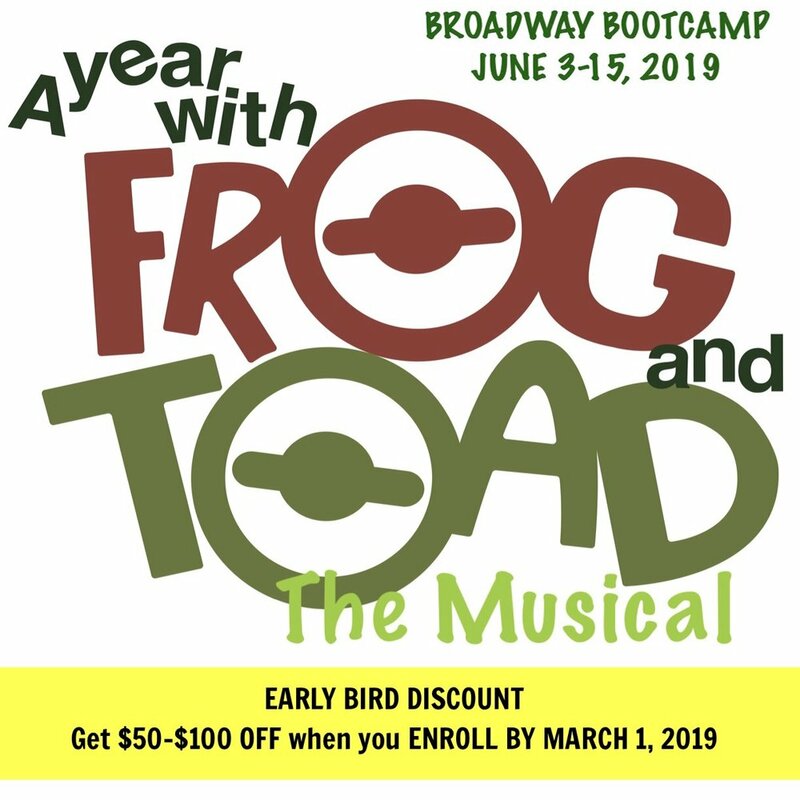 Our BROADWAY BOOTCAMP Promoted Confidence, Teamwork, Work Ethic, Responsibility, Creativity And A Lifetime Of Memories! Want to see what this show is about? Check out some of the music and Characters in this video clip of this awesome production!! We will be doing the kids version of this show! !